ABS Journeyman smith, Bill Sowell crafted this forged Bowie. 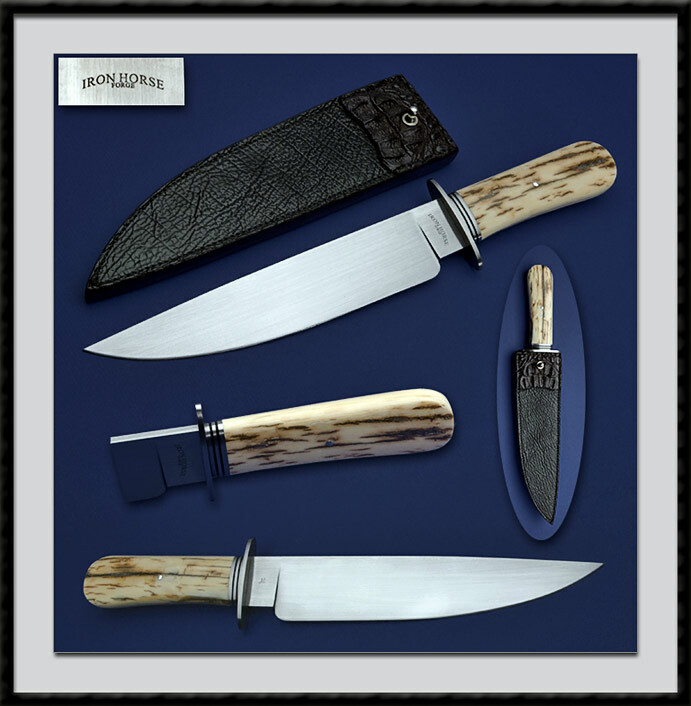 BL = 9 5/8", OAL = 15 7/8", 1084 Blade steel, Hand rubbed satin finish, Distal taper, SS Guard with a Fluted Ferrule, Outstanding Stabilized Mastodon Bark Mortised Handle. Comes with the custom Crocodile Hide sheath pictured. Condition is Pristine. A Quality piece with Fit & Finish beyond that of a Journeyman smith. Be sure to see an article in the Dec. 2004 Knives Illustrated magazine about Bill and his shop.